The Clinton/Gingrich battles were bare-knuckled brawls that brought about massive policy shifts and high-stakes showdowns—their collisions had far-reaching political consequences. But the '90s were not just about them. 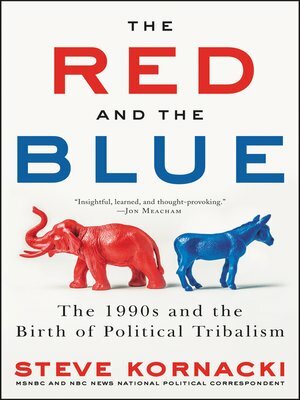 Kornacki writes about Mario Cuomo's stubborn presence around Clinton's 1992 campaign; Hillary Clinton's star turn during the 1998 midterms, seeding the idea for her own candidacy; Ross Perot's wild run in 1992 that inspired him to launch the Reform Party, giving Donald Trump his first taste of electoral politics in 1999; and many others.